Ever since Wayne Ricci won the John Philip Sousa Band Award as a youth, he charted his musical course as a first-rate trumpeter, performing in concert bands, classical brass ensembles, and marching bands. 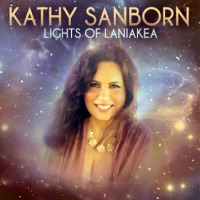 The trumpeter has contributed to Kathy Sanborn's eight albums, including the August 4, 2017 release, Recollecting You. Jazz critic Susan Frances (JazzTimes) notes that Ricci performs with a “sable-like plushness.” His smooth, soulful tone is both refreshingly pure and emotionally deep, a style that is uniquely his own. All About Jazz musician pages are maintained by musicians, publicists and trusted members like you. Interested? Tell us why you would like to improve the Wayne Ricci musician page.